Start by making an account. 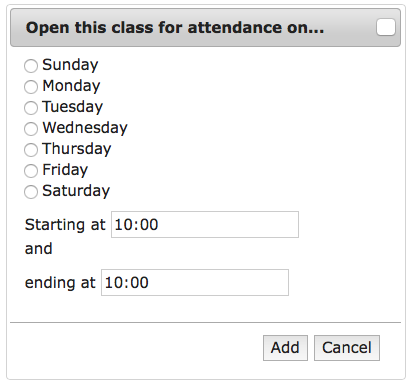 Then click the 'Create a new class' button and set your attendance requirements (location, time, etc.) for it. To actually take attendance, tell your students install our app on their phones using this link: youhere.org/app. They'll tell the app about your class, then use it thereafter to check themselves into your class. The app uses the phone's location capabilities to see if they're in the right place at the right time (according to your attendance requirements). Results are logged to your Youhere.org account. Question? Comment? Suggestion? Email us at fopcontact@gmail.com. We read each email and will write you back. Taking attendance with Youhere takes two parts. The first has to do with settings you make at our website Youhere.org. The second has to do with the app that your students install on their phones. With the website, you create a class in your account---something like my-8am-spanish-class. Under this class, you'll use a map to locate the center-point (location) for your attendance. You'll also set an 'inclusion zone' around this center-point that defines an acceptable attendance region (sort of like a fence), since location services on phones aren't perfect. You can also restrict student check-ins to particular days or times. With the app, (Apple App Store or Google Play) your students will connect with the website---and your class, my-8am-spanish-class---using their phones. Their connection will be done in class, where their location, as determined by their phone, will prove their attendance in your class (within your inclusion zone). The website will log all of this for you. 1. Make an account for yourself at Youhere.org. 3. Click the 'Create a new class' button. A page will come up allowing you to control attendace for your class. 4. Into the text box, type a simple code for you class. Keep this short and easy to type as your students will use this on their phones, to connect with this class. 5. Mark the center-point and inclusion zone for attendance. 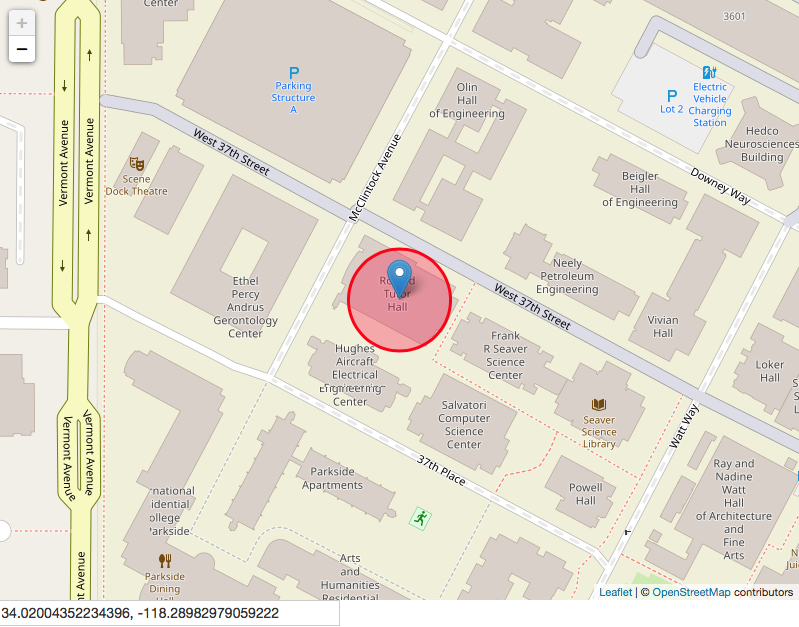 Using map controls (panning and zooming) that you're probably used to, locate the center-point for your attendance. When you find it on the map, click on it, to drop a marker on it. You can also go to your classroom, and key in the latiude and longitude of your center-point (which you can find using a GPS app for your phone). Set the 'inclusion zone' by keying in some distance into the 'Allowable distance' text box. Do not be to 'tight' initially with your inclusion zone. Perhaps go as small as half the size of the building you are in. You can fine tune it later, maybe after trying it out for yourself first. Select your timezone from the dropdown box. Be sure the local time it generates is correct. This is an important step, if you wish to set time restrictions on when your students can check themselves into your class. 7. Restrict student check-in's to some particular times. You'll likely only want your students checking in to your class during specific times. For example, maybe only during the first 10-minutes of a class. Click the 'Add a day and time...' button. A window will pop up allowing you to select a day and a 'start' to 'end' time for allowing check-ins. Times in the window are in 24-hour (i.e. 'military' or 'European' time). You may add as many days or times as you wish to a given class. Choosing no days or times will allow a check-in at any time. Only one check in per time interval is allowed per student. Click 'Save...' when you are done, and then return to the main menu. You'll see your class(es) appear. Clicking on a class code will show you the attendance record. 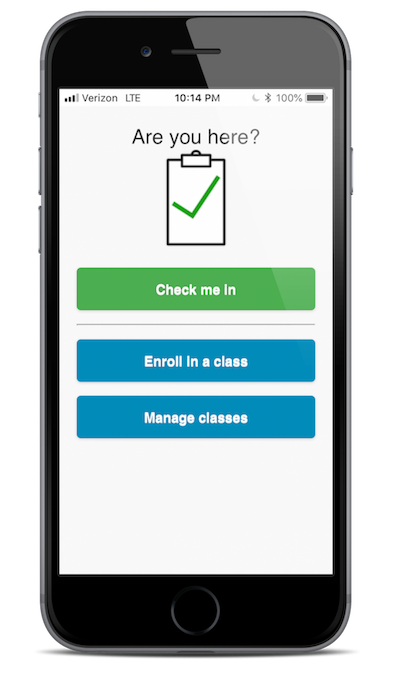 The 'Allow new enrolls' selection allows you to control if students can currently enroll in your class (that is, join your class for the first time, using their phone). You will likely turn this on as your class begins for a new term, then off again as your term progresses, and your class enrollment becomes fixed. Do some testing yourself! Set the 'Open for attendance' selection to Yes, but not recorded. This will allow you to repeatedly 'check in' without recording anything into your class data. Walk around your inclusion zone, tapping 'Check me in' on the app (as many times as you wish). You'll get a 'here' or 'not here' response.